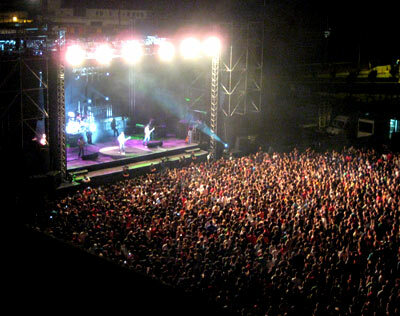 Extremaduran rock group Extremoduro staged a concert in the outer area of the Exhibition Centre, which covers more than 6,000m². Over 4,000 people attended the gig, making use of various modes of transport, such as the Topo train service and the motorway, as well as the car park, which has space for over 1,000 cars. The facilities met with the complete satisfaction of the group and helped make their Ficoba stopover one of the best concerts on their summer tour.